GreekGear.com is your one-stop shop for all the Greek paraphernalia you need to show pride in your organization. 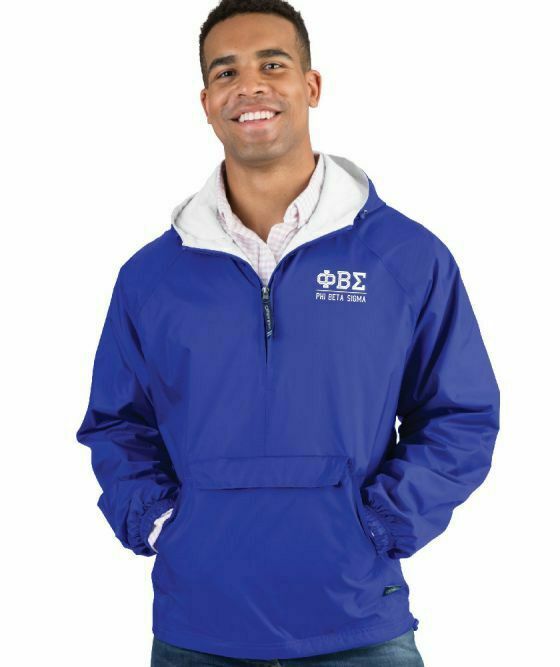 Our extensive selection of Greek apparel includes hoodies, jackets and coats, college fraternity shirts, and hard-to-find items like jewelry and other accessories that will make you praise the day you discovered GreekGear.com. Don't believe us? Check out our reviews to see what others are saying about us. Let's face it: one of the best things about Greek life is getting the chance to sport your letters everywhere you go, from the quad to the classroom. Greek Gear has the world's best selection of attractive and affordable fraternity and sorority apparel, including shirts, sweatshirts, tank tops, long-sleeved shirts, hats, visors, sweatpants, shorts and so much more. 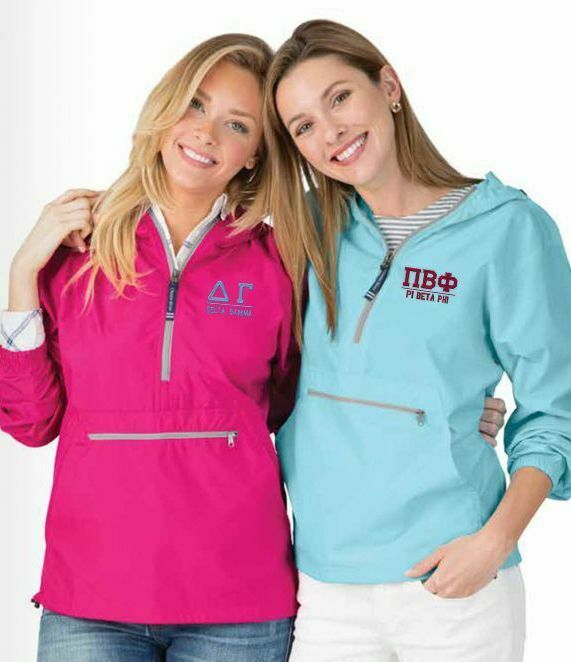 Other Greek wear essentials - such as sorority flip-flops for your chapter-wide trip or stylish fraternity pullovers that keep you warm on nippy campus days - help you show your organization pride no matter the season or occasion. Greek Gear has custom Greek clothing, gifts and more for tons of sororities and fraternities in our well-stocked Greek store. Because we're Greek geeks like you, we take special pride in ensuring that every piece of apparel in our selection is authentic and inspired with your group's officially licensed colors, symbols, mottos, crests and phrases. If you don't see the exact product, colors or phrasing you're looking for, you can shop custom Greek apparel and personalized gifts or use our unique Design-Your-Own Greek Gear option - a real essential for the Greek that has everything. Many items in our robust selection of Greek clothing can be ordered with a bulk discount to help save your chapter big bucks. Rush week essentials such as Greek pencils, cups, signs, flags, bags, party favors and more all come at sale prices when you buy in bulk. Many awesome rush week gifts - including sorority stickers and fraternity cups - can be custom-ordered for occasions like formal, Songfest, Greek conventions, mixers and more. We also have Greek gifts for alums, family members and even pets. Your posh pup will love our Greek pet apparel. Plus, our personalized sorority blankets, classy fraternity glassware and more make super thoughtful big or little gifts. And if you've got a sister who's got a little legacy in the oven, you'll love our kids' Greek apparel for members-in-training. Choose GreekGear as your exclusive fraternity and sorority outfitter and you'll save big bucks. We often offer awesome promotions, including coupon codes and great sales, to help you keep the crew looking classy without breaking the chapter budget.